The following question and answer session is from a conversation with Personal Banker II, Lori Dame in Kansas City, Mo. Lori recently utilized UMB’s Associate Matching Gift Program to amplify her financial contribution to a cause she is passionate about. Why do you support Wreaths Across America? I come from three generations of United States Air Force members, which inspired my involvement in Wreaths Across America. I was born and raised on a military base and the service of our soldiers is very close to my heart. When I heard about this organization’s mission to honor all who have served, I knew it was something I wanted to support with my time and money. 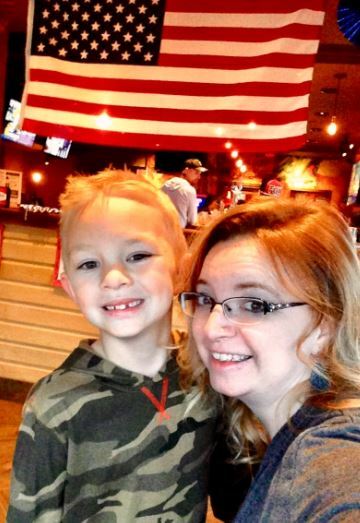 I love the fact I can also teach my 7-year-old son about the price of freedom and how to be thankful for each veteran who has given us the privilege to live in the United States. Tell us about your involvement in the organization. I first volunteered for National Wreaths Across America Day‡ in December 2017. The cemetery where I volunteered has 515 veterans buried on its grounds and had only raised enough for 135 wreaths. Watching people have to pick and choose which grave received a wreath and which one did not broke my heart. I made it my mission that in 2018 no grave would go uncovered. I have been working with multiple Veterans of Foreign Wars groups and with local businesses to raise funds and spread the news for this year’s event. What does UMB’s Matching Gift Program mean to you? Being able to raise funds for this event with my son and having my donation multiplied has been so rewarding. With UMB’s help, I can double my personal contribution and help reach our goals! I love working for a company that cares about associates’ individual passions. Every person has an organization or cause that holds a special place in their heart. The fact that UMB wants to help associates contribute more and to have a voice in their communities is great. In a world where you can be anything, be kind. Wreaths Across America‡ started in 1992. 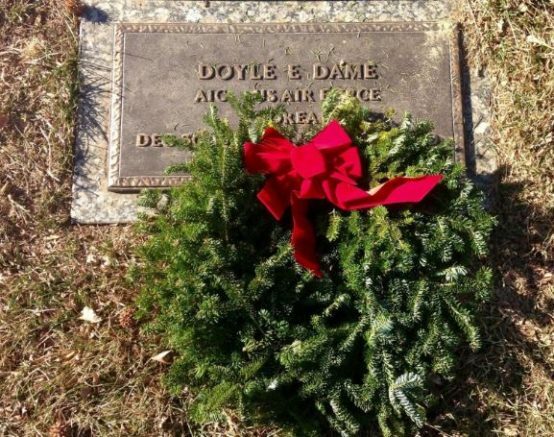 Last year, the organization helped place more than 1,565,000 wreaths on graves of veterans across the United States. If you have a loved one buried at one of the organization’s more than 1,400 locations, you can have the privilege of donating a wreath to be laid on his or her headstone. National Wreaths Across America Day is always the third Saturday in December. This year’s date is Dec. 15, 2018‡. Follow UMB on Facebook‡ and Twitter‡ to see regular updates about our company, people and timely financial perspectives.